Cross Country Cafe has a great deal this weekend! 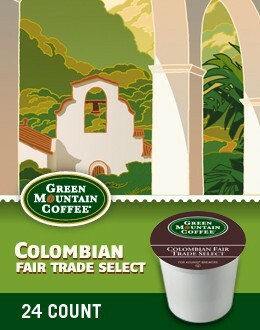 You can get Green Mountain Colombian Fair Trade coffee for $10.99 for 24 ct. Shipping is a flat rate of $8 or FREE when you order 5 or more. If it seems like a lot of coffee, you can always split it with a friend or share them for gifts!